Gale Courses offers a wide range of highly interactive, instructor led courses that you can take entirely online. As a library card holder in good standing, you are entitled to these courses at no cost. Courses run for six weeks and new sessions begin every month. Start by going to the library’s eResources page at http://nppl.online/eresources or directly to our site on Gale Courses. Classes begin on Wednesdays, with classes starting on October 18th, November 8th, December 13, 2017 and January 17, 2018. Whether you’re looking for professional development or personal enrichment, these six-week online courses are the perfect way to learn a new skill or enhance your existing ones. You’ll spend roughly two to four hours each week completing two engaging lessons in an enjoyable, interactive learning environment. Expert instructors develop and lead every course, and you’ll be able to interact with them and with fellow students in lively online discussion areas. New sessions start every month, so you can sign up anytime. Upon completing a course with a passing score, you’ll get an award of completion from your learning institution. We often hear from people that they don’t have time to come to the library. Our answer to them is that they can still use awesome library resources with their computer or mobile devices. 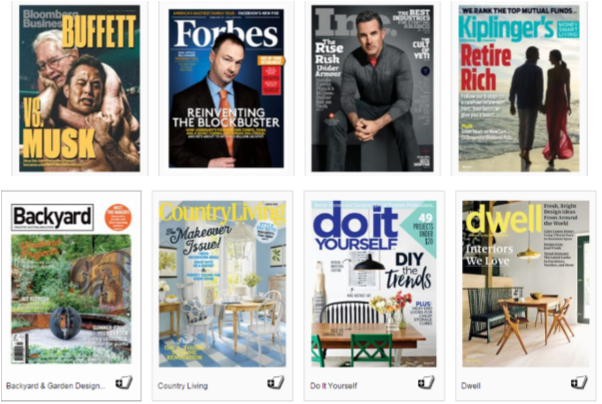 These resources include: Online courses on business and personal skill needs; downloadable popular, classic and even oldies music; full magazines to read such as Guideposts, Discovery, Sports Illustrated; and eBooks and audiobooks to borrow. And, that’s not even going into access to Auto Repair information, Consumer Reports, and legal forms. 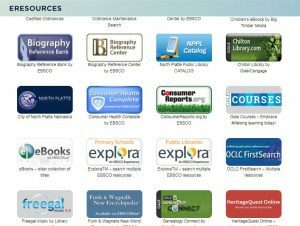 We always offer help on these resources in our 2nd floor computer if you have questions on using any of these resources. Our library has joined the Central Nebraska Digital Co-op to provide card holders with more electronic resources. First register on the rbdigital website; and then a log in on the app using your email and a password. Call the library at 535-8036, Ext. 3320 for more information or bring your device to the computer center for assistance in loading the app. 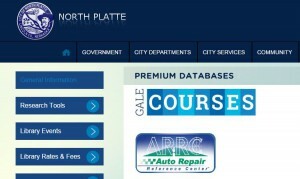 The North Platte Public Library now offers access to Gale Courses. Gale Courses offers a wide range of highly interactive, instructor led courses that you can take entirely online. As a library card holder in good standing, you are entitled to these courses at no cost. Courses run for six weeks and new sessions begin every month. A new set of classes is starting right now. You have 13 days after the start of class to sign up and start the lessons for a class. Go to the city website, choose Community, then Library. On the Library page, go to Research Tools; in the submenu select Premium Databases and Gale Courses. There is great selection of courses from Microsoft Office to Photoshop, Test Prep for ACT/SAT tests and more. For classes like Microsoft Office, you must have the exact version on the computer in order to complete assignments. Following completion of the class, you get a certificate of completion. Registering the first time is easy; you will need an email address and your North Platte Public Library Card barcode. Before registering for a class you can explore the lesson plans, learn about the instructor, and possibly preview a lesson. The library believes Gale Courses will be an asset to the community as it will offer classes that people can access from their computers 24/7. The instructors prepare detailed lessons and assignments and are available for questions via online forums. Imagine having a digital photograpy class at your fingertips! 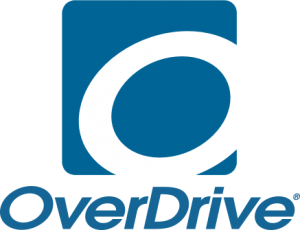 Downloading the Overdrive for Libraries App on your iPad, Kindle Fire, or Color Nook gives you access to thousands of eBooks with your North Platte Public Library Card. I especially like the fact that using the app on a Kindle Fire you can bypass going through your Amazon account to download the borrowed book. With the app, you can borrow ePUB format books and MP3 audio books.